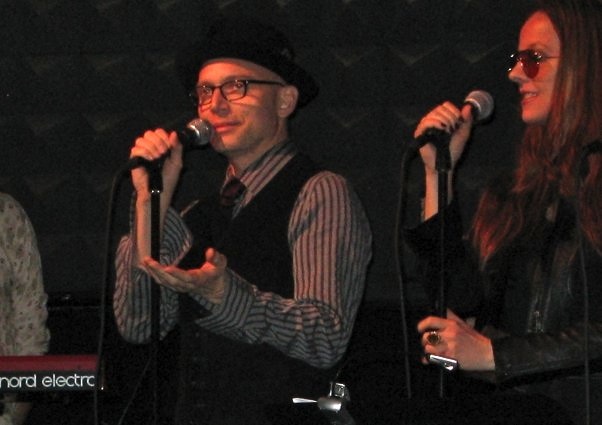 Michael Cerveris, who plays the main Observer on Fringe, at the Loser’s Lounge last night. He’s so charming on stage, and has a great voice too of course. But I’m going to curl up on the couch now. I have a cold. Oh god, I’ve got the news on in the background and I’m hearing horrible horrible things about what’s happening in Syria. For the love of god. Are you all hearing this? They are shooting men, women and children, and snipers are picking off the people trying to help them?